NEW Vending Machine Package, Factory Direct "Value Added"
Des Moines, Iowa, – Vending.com’s National Sales Director, Bill Fankell announces they are offering a New Factory Direct Value Added Campaign to assist the small vending operator to expand their vending machine business. “Since 1931 our company has assisted more people in the US to get into the Vending Business and grow their business “The Right Way”, per Bill. If you would like to expand your small vending business and are in the USA, just ask Bill, he has 22 years experience in the vending business industry. 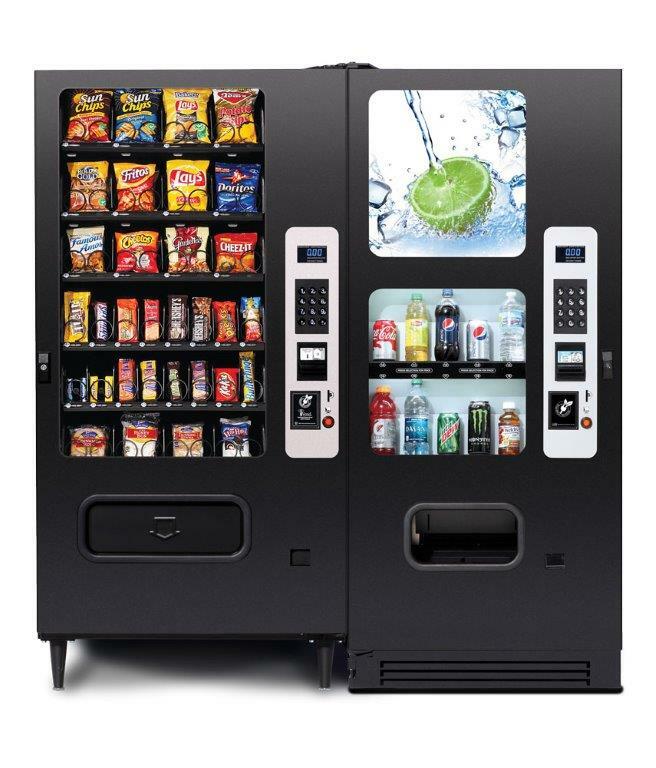 With this New Value added Vending Package the vending operator will receive; along with the factory direct pricing with purchase of any new vending machines, the company is offering Machine Location Assistance, FREE Marketing Materials, Zero Down Financing, White Glove Delivery Service On Location and Lifetime Tech Support. State-of-the-art-vending machines including “Cashless” readers systems for a 15% – 30% lift in product sales. Factory sponsored service schools during the year. Up to 100% equipment financing. Factory “White Glove” equipment delivery to your locations. Location assistance services at no cost to small vending operators to grow their current vending business. Experience “Coaches” at the factory to assist you as needed. Based in Des Moines, IA, Vending.com has factory direct prices on all the vending machines they offer. With dedicated customer service and excellent support to ensure seamless implementation and a transformative return on investment. 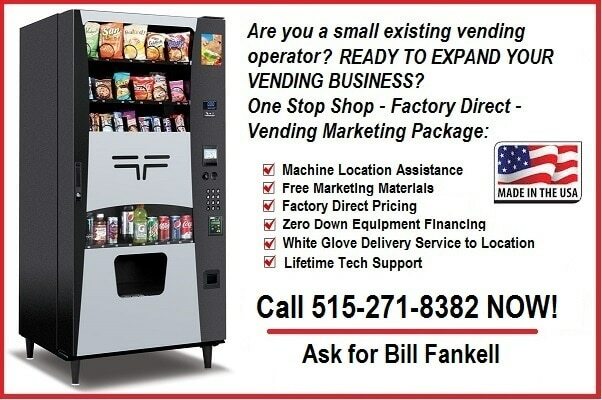 Call Bill Fankell today to discuss growing your vending business in 2019! No cost or obligation. Vending.com provides you with ALL the tools! !